Make your sweet escape - Relax UP NORTH! Visit with the Murdicks! UP NORTH – Make Your SWEET Escape! A place made of pine trees and lakes. We have always loved this poem. 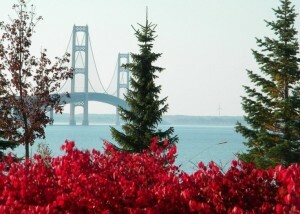 Fall is the best time of year to visit the Mackinac Straits area. The air is crisp and the people are friendly. Time slows down and so does the pace! Come up for a visit and be sure and stop in at our family owned fudge store: Aaron Murdick’s Fudge. We are here every day making fudge for our many customers, who love to watch us make it. 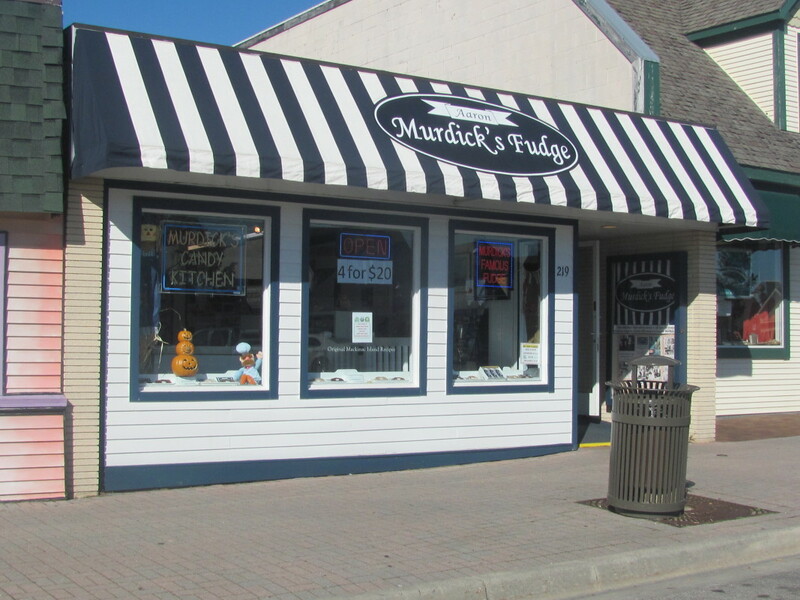 Our store is located on Central Avenue in Mackinaw City…and we are the only family owned Murdick store in the Mackinac Straits area. (Picture: Aaron, Marcy and John Murdick) We love talking with our customers, new and old! We are NOT connected to the “Murdick” stores on Mackinac Island, in the Mackinaw Crossings Mall in Mackinaw City, or in St. Ignace, nor do we wish to be confused with those stores in any way. 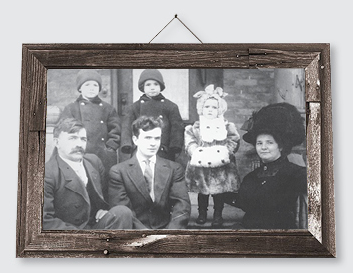 We are Murdicks and we honor our family’s heritage by making fudge using the exact same recipes that our ancestors used when they made fudge on Mackinac Island back in 1887. Now that the Mackinac Bridge connects us to the Upper Peninsula of Michigan, you can easily travel from Mackinaw City to many other places of interest. And Fall is one of the best times of year to travel up here. Traffic will be as light as your heart will feel! There are many things to see and do this time of year UP NORTH Michigan. 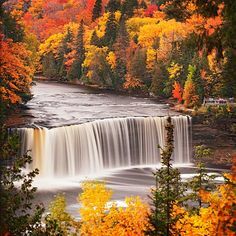 Tahquamenon Falls is just beautiful and only a short drive from Mackinaw City. Another great site to see in Fall is the Pictured Rocks Lakeshore near Munising, Michigan (Below). 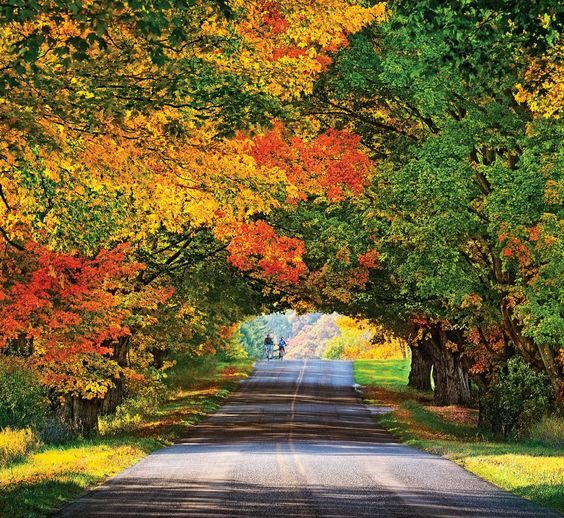 And if you want to stay in the lower peninsula, The Tunnel of Trees on M-119 between Mackinaw City and Harbor Springs is one of Northern Michigan’s must-see attractions, perfect for a relaxing afternoon scenic drive (below). It’s all here just waiting for you to enjoy! Make your escape and come relax with us UP NORTH! 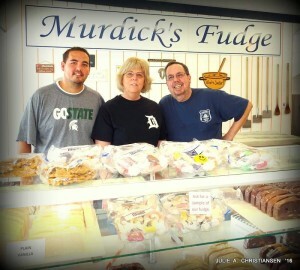 The color is just beginning and life is SWEET at Aaron Murdick’s Fudge store in Mackinaw City!